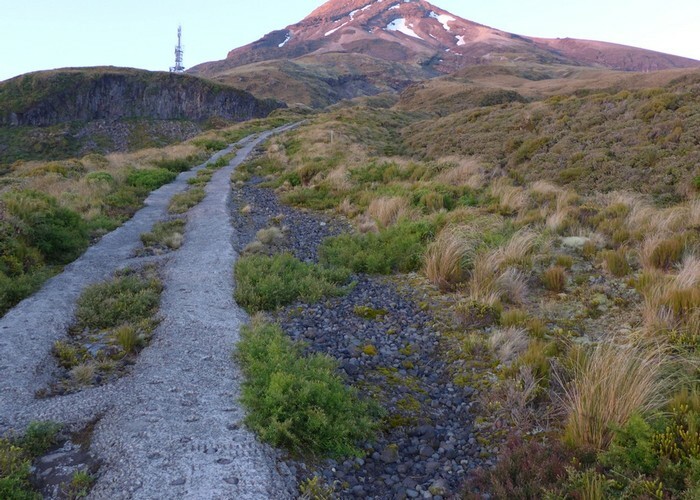 The notorious (and aptly named) 'Puffer' starts your northern ascent of Mt Taranaki. It's a novel way to gain altitude, but the steep uneven concrete is hell on the knees coming down. Added 25 January 2015 by hutchkhutchk. No revisions. 200 views in the past year (17 per month).